July 2016 sees the launch of Zen 6, the latest addition to our software suite, bringing together CSPs network and customer data into one centralised application for the first time. 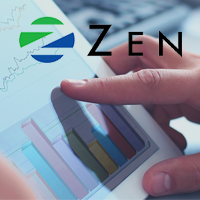 Zen 6 gives operators the ability to auto-correlate key customer-centric data sources with traditional network data sources, and identify the issues that truly impact a customer’s experience and perception. With network problems accounting for an average of 40% of customer issues, it is now essential for CSPs to take a new approach to managing the network, making decisions based on customer impact metrics and not just network metrics alone. Auto-correlation of passive probe and call trace data to identify customer impacting coverage and quality issues. Call stitching of 2G/3G circuit switched passive probe customer call records, providing a single ‘voice call’ experience metric. Ad-hoc subscriber grouping to improve micro-level customer advocacy. Get real time network status visibility with full alarm lifecycle management. Immediately access to current and historical alarm data for trend analysis. Advanced alarm reduction and root cause identification to minimise MTTR. Other functionality available in Zen 6 includes self-monitoring of the platform hardware and enhanced data visualisation functionality. With a host of clear benefits, Zen 6 is the platform of choice for CSPs looking to successfully deliver upon their Customer Experience Management strategies and drive an evolution of their network management. To find out more about Zen, head over to our resources hub or book your demonstration today.